These sweet Cheesecake Chocolate Chip Cookies with Salted Caramel are made with cream cheese, milk chocolate chips, and a salted caramel drizzle. They are a great addition to a holiday dessert table, but are also great all year long! Welcome to Day #6 of Christmas Week, a multi-blogger event co-hosted by Kim of Cravings of a Lunatic and Jen from Juanita’s Cocina! Each day we will be celebrating the holidays with a different set of Christmas-themed treats, as well as a fabulous Christmas giveaway. We hope you enjoy this fabulous event.Tune in each day starting Monday, December 9th and ending Saturday, December 14th. I didn’t come up with the recipe I’m sharing today for these cheesecake chocolate chip cookies, but man, I wish I did. I first saw it on Pinterest the day it was posted on there, and it looked and sounded like heaven in cookie form! What I was seeing came from Baking and Boys, and I knew I just had to make them for the finale of Christmas Week. The only things I changed were the chocolate chips since I prefer milk chocolate over semi-sweet, and I changed the caramel drizzle sauce that the cookies are finished with before sprinkling with sea salt. No matter how you make these cookies, if you leave a plate out for Santa on Christmas Eve, he is going to be one happy man! 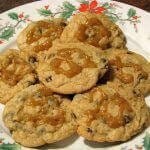 Check out the fabulous giveaway for the last day of Christmas Week right after the recipe for these delicious Cheesecake Chocolate Chip Cookies with Salted Caramel! These sweet Cheesecake Chocolate Chip Cookies with Salted Caramel are made with cream cheese, milk chocolate chips, and a salted caramel drizzle. Preheat oven to 350 F. In a large bowl stir together the flour, baking powder, baking soda, and sea salt. In a large mixing bowl or the bowl of a stand mixer beat the butter with the cream cheese until combined. Scrape down sides of bowl as needed. Add in both the sugars and beat until well combined, then add the eggs and vanilla and continue beating until combined. Slowly add the flour mixture while continuing to beat until well combined, then stir in the chocolate chips. Line cookie sheets with parchment paper. Using a 1 tablespoon measuring spoon drop mounds of cookie dough onto paper spacing 1 inch apart. Bake in the preheated oven for 10-15 minutes. Remove from oven and trays to cool. Today’s #ChristmasWeek giveaway came courtesy of Cake Boss Baking. 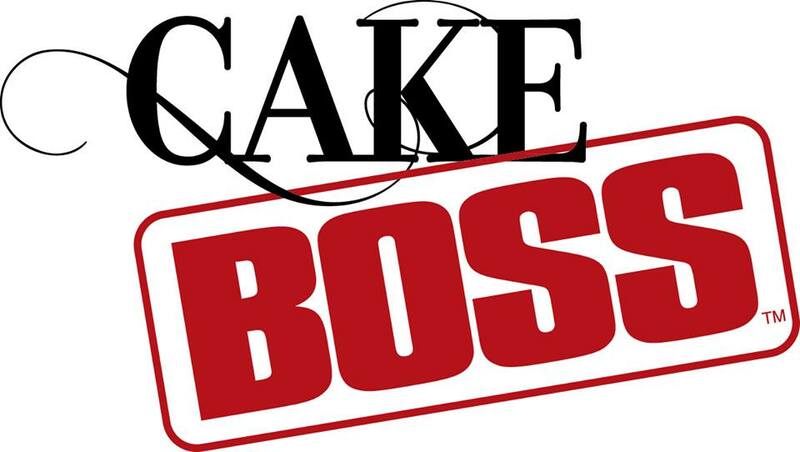 Cake Boss Baking is the new branded bake ware from Buddy Valastro, the talented chef and baker behind the TLC TV show, “Cake Boss”. Cake Boss Baking features a full line of cake pans, decorating tools, dessert plates and more, with product for all levels of expertise. These sound absolutely delicious!!! Love sweet/salty! Me too! I think I’m in love with these cookies! Salted caramel and cheesecake in a chocolate chip cookie?? Yes, please! These look terrific! Cranberry bread in the loaf pan! The first thing I would bake would be brownies with peanut butter pudding topped with chocolate syrup!! I’ll try my hand at making cake decorations! 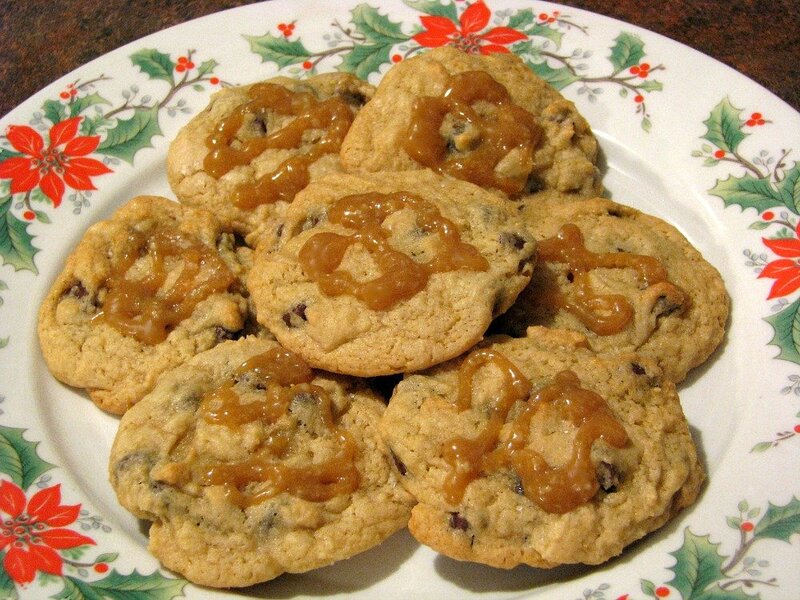 These look amazing, I love cookies and I love salted caramel. These would really hit the spot. My husband’s birthday is in two weeks. I would make him a pineapple upside down cheesecake cake. Your cookies are going to be on my Christmas cookie plates to go to neighbors and friends. Thanks for the great recipe and the giveaway! I WILL make some Cakelettes!